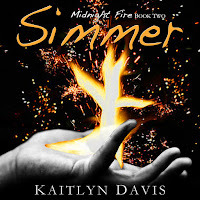 The Official Website of Bestselling Author Kaitlyn Davis (Kay Marie): A Look Back At 2017! So, without further ado, here's a little look back at my 2017! As always, THANK YOU to my amazing fans for giving me the support and encouragement to make all these fabulous things happen! I could never live this dream without you! My husband and I bought our first house!! Woohoo!! Homeownership is the best! Top Five Author Moments of 2017! 1. Published the first three books in Midnight Ice! 2. 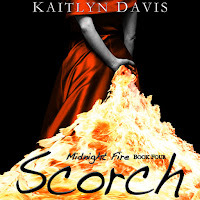 Produced Midnight Fire Audiobooks! If you've been following me for a while, you've probably noticed that I've been talking about audiobooks for a loooooong time! They've been on my "to do" list ever since Ignite first came out, but there was always something holding me back...until this year! 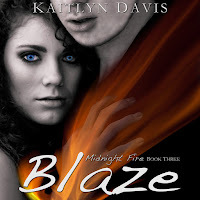 I found a wonderful narrator, Meghan, who made the process so simple, and I'm so happy to say all four full-lengths books in Midnight Fire are now available in audio :) I have to say, listening to these characters come to life has been one of my favorite experiences as an author! 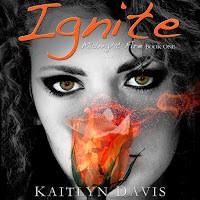 Here are some links to the Ignite audiobook in case you want to listen to the sample! Here are some links to the first book in case you want to listen to the sample! 4. Lectured at the Unicorn Writer's Conference! One of my goals for 2017 was to participate in more events. Since writing can be a very solitary career, I was hoping to get out of my house and meet a few people, so when I was invited to lead a lecture at the Unicorn Writer's Conference, I jumped at the opportunity! The experience was wonderful! I spoke about traditional publishing vs self publishing--the process and the pros/cons of each--and was really proud of myself for stepping out of my slightly introverted comfort zone! I was also just really proud of myself in general. Like I said at the start of this post, I tend to go go go, and this experience made me stop and realize how much I've accomplished over the past few years and how much unique knowledge I have to share with other writers. 5. Started a Monthly Newsletter! So there you go! My highlights! On a personal and professional front, 2017 has been great, and I can't wait to see what 2018 will bring :) Don't worry...I've got A LOT planned! My Top Five Reads of 2017! This was one of the most exquisite books I've read in my entire life! I cannot recommend it enough! Even if you're not normally a fan of literary fiction, give it a chance because I guarantee you won't be able to put it down! 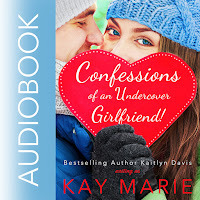 Laini Taylor is one of my auto-buy authors and this book did not disappoint! The world building was phenomenal, the writing beautiful, and the characters endearing. A fabulous book and I can't wait for the sequel! Sophie Kinsella is another auto-buy for me! The romance was adorable, but my favorite part of this book was the female relationship at its heart! Women can be so hard on themselves and each other, and I think this tale is something we can all relate to (at least I did)! Elise Kova's books have been on my TBR for ages, and I'm so so happy I finally picked one up! The world building in this book was so unique and the adventure was just plain fun. I can't wait to finish the series! This book was zany and outlandish with the perfect amount of wit and realism to make it a completely relatable read! I sympathized with the main character, loved her journey, and also just found the commentary on the current fitness craze hilarious! Hope you all have a wonderful night of celebrations! I'll see you in 2018!